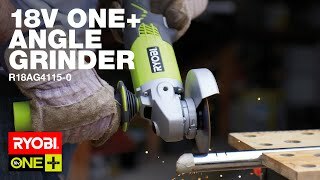 The Ryobi 18V ONE+ angle grinder brings you a combination of the best features available in modern power tools. Twostep starting process for added safety. With a speed of 7,500 revolutions per minute, whether you're grinding, polishing or cutting, you know you can tackle any job quickly and easily when you choose the Ryobi 18V ONE+ angle grinder. 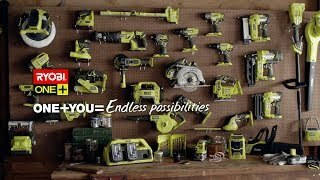 The Ryobi 18V ONE+ system has a wide range of tools that work with the same battery, giving you a versatile and practical collection of power tools. With ONE+, you can get more done in less time, so you can move on to your next task sooner. Are you ready to discover the superior quality and performance of a Ryobi angle grinder? Get yours today from Bunnings Warehouse. 18V ONE+ Angle Grinder is rated 5.0 out of 5 by 2. Rated 5 out of 5 by Davidwig from Great product I bought the Angle grinder about 5 weeks ago and it has been fantastic.